Curious about what happens at Rally? 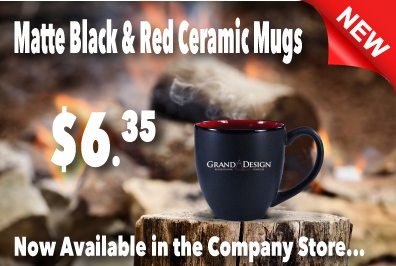 Grand Design Lifestyle Ambassadors the Getaway Couple created this great video that gives you an inside look at what happens at an RV Rally. Take a look and if you have any questions be sure ask them below in the comments section. The Rally will officially kick off at 6:00 pm, Thursday, September 12th, and end at 6:00 pm, Sunday, September 15th. Most attendees will be reserving their stay from Thursday, September 12th, to Monday, September 16th so they can enjoy all the rallies activities. You are more than welcome to reserve your stay for longer to enjoy more personal socialization time with those that also arrive earlier or depart later. However, if you wish to arrive Wednesday, September 11th, or earlier, or depart Tuesday, September 17th, or later, you will need to contact Durango RV Resort personally to make individual arrangments for your extended time. The first selection is the "Rally Registration"; $50. This is per site at Durango or anyone that is planning to attend, whether you are staying at Durango RV Resort, staying elsewhere and just attending during the day, or staying at home and driving in each day, will need to pay this fee to cover any costs that the Wagonmasters will have for incidentals, prizes, meals, and rally party and entertainment. If the first selection for "Rally Registration" is showing "JOIN WAITLIST", DO NOT select and pay for your nights stay, it will be refunded immediately. You must join the waitlist first, THEN, when informed by the WagonMaster there is an open site for you, you then pay for your stay. There will be no refunds after 30 days prior to the rally unless the WagonMasters are able to fill your site. 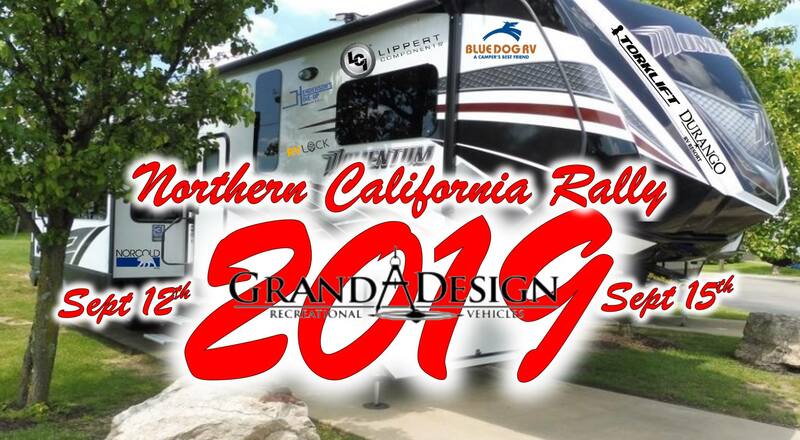 First Rally was at the Northern CA Durango RV Resort in Red Bluff, CA in 2017. Was going to the 2018 Rally there but some issues came up with the trailer and could not make it. However, we did make it to the Tuolumne City Central CA Rally here in 2018 and it was a very nice place to be at, especially with a casino down the road (Rally was at Black Oak Casino RV Park) and a gas station on the property that was cheaper than any other in the area, and are very disappointed that it won't be available in 2019. However, we will be there for 2020. Get those BBQ's fired up, Jeret!!!! We have a Solitude and are looking to see how your club works. We were Sunseekers an Alpha club for a long time.